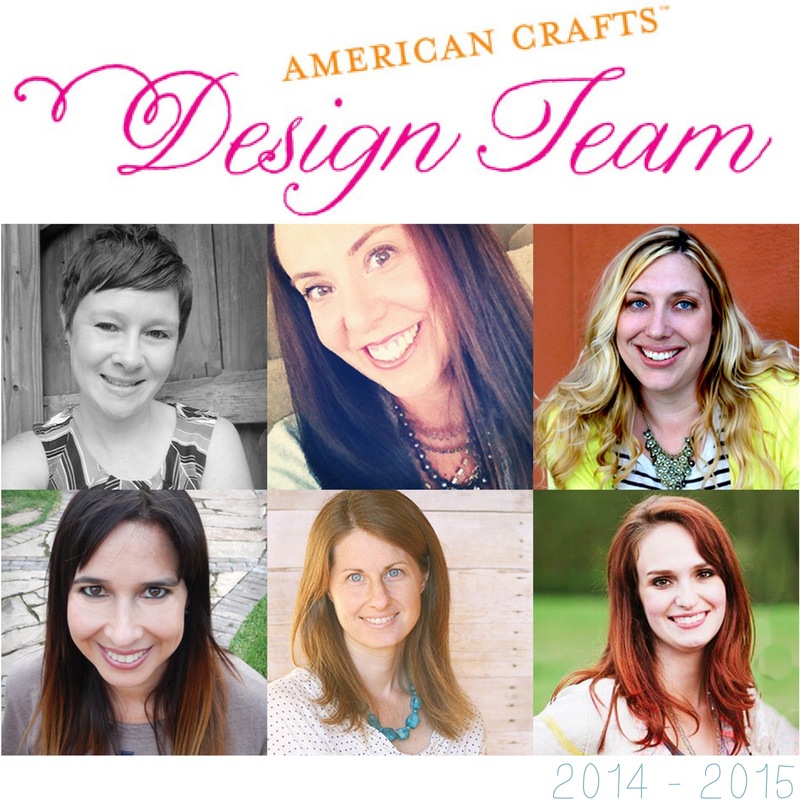 Ashley Horton Designs: American Crafts 2014-2015 Design Team Blog Hop! Today, the new American Crafts Design Team for 2014-2015 is bringing you a fun Blog Hop filled with inspiration and giveaways!! Make sure you visit all of the Blogs to see what everyone created! I was *im*patiently waiting for the awesome new Shimelle collection to arrive on my doorstep!! 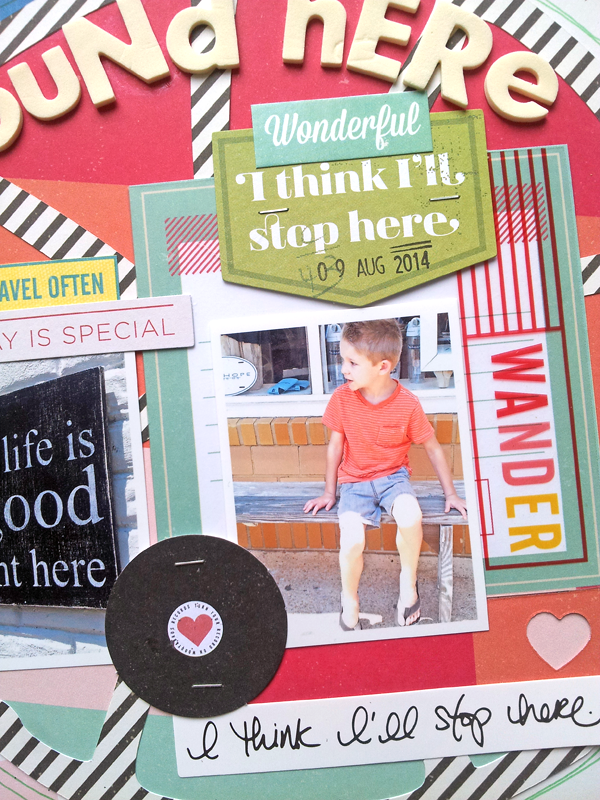 :) As soon as I opened it, I got to work on my layout for the Blog Hop, and here's what I created! One of my most favorite things about the Shimelle collection, is the mix of neutral colors, with brighter colors. I wanted to create a fun layout with a lot of colors and circle elements. 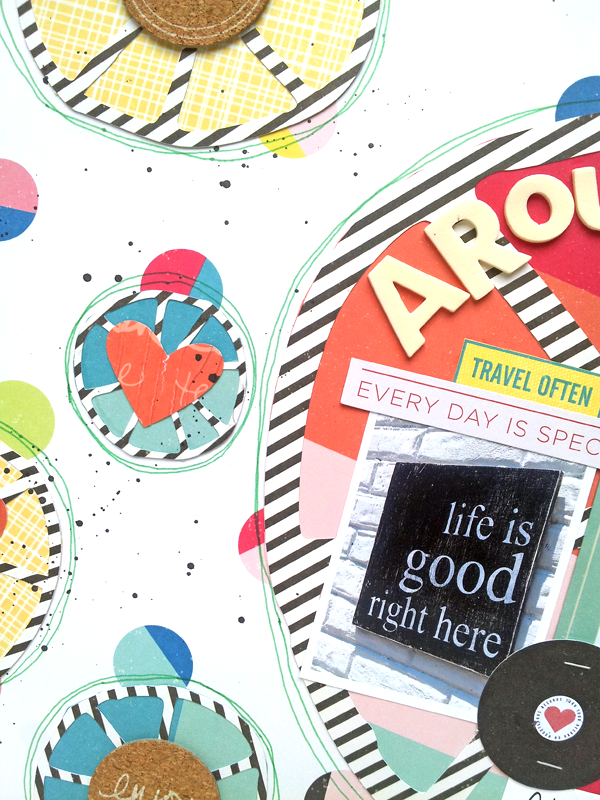 I used the Going in Circles cut file from my Etsy Store, The Cut Shoppe, and added different patterned papers behind the die cut circles. I used the largest circle as a base for my photo and title and embellished the smaller circles with die cut hearts and Cork Embellishments. It's time for a GIVEAWAY! What do you need to do to win?? Just comment on this post, or become a new follower and let me know you did and I will choose a random winner! Easy Peasy!! Commenting will remain open until Saturday, September 6th, and I will announce a winner on Monday, September 8th! And now, it's time to continue on the Hop! You are heading to Gillian Nelson's Blog next, and here is a complete list of each Blog participating in the Hop! Leave a comment on each blog, then visit the American Crafts blog to win a fantastic prize! Ashley Horton <---- You Are Here. Thanks for stopping by today, and enjoy the Hop! !